I came to Micah in 2006. 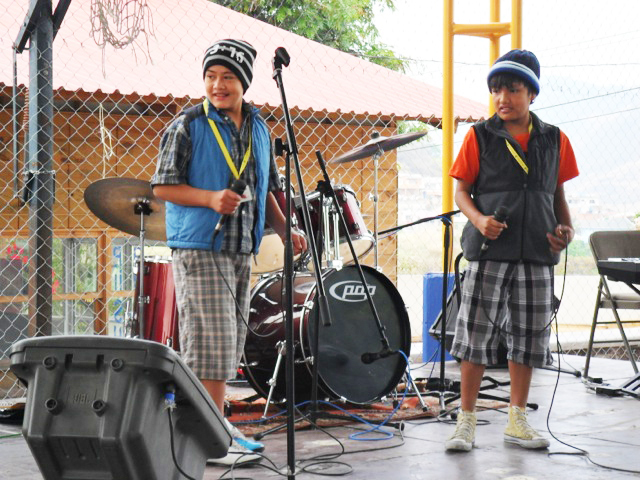 In 2005 I started working at International School of Tegucigalpa (www.internationalschool.hn), and two co-workers who had graduated from Wheaton were volunteering at Micah during the weekends. Rachael and Erin told me about the project, what it was doing and how they were involved. I thought it sounded like a great opportunity and stored it in the back of my mind. In 2006 I went to Union Church’s Easter Sunrise Service as a guest. I had gone during previous years, and really liked worshipping at Union during this time of year. During the breakfast afterwards, I met Michael. We started talking about the project and about our current teachers that were volunteering, and he invited me to visit as well. Later that week I went to Micah, and that’s what started it all. I met the guys, saw what the project was about, and felt quite at home. This time in my life was very difficult: I had left the church in which I had grown up, served and been a part of for all my life. I felt out of place without a church body. Micah provided a safe place for me. I found I could help out as a volunteer by visiting a couple of times a week. I became involved with Micah, holding Bible studies with the guys, but more than anything building relationships with them. 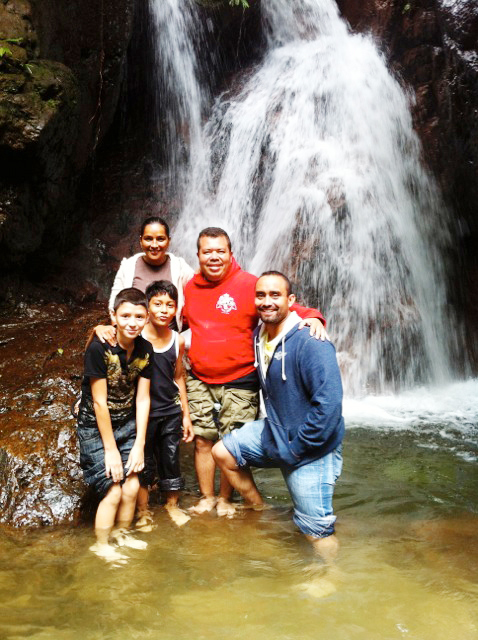 I got to know these guys by name, their stories, and was able to see how Micah was transforming lives in Honduras. To be honest, I think that Micah adopted me as well. 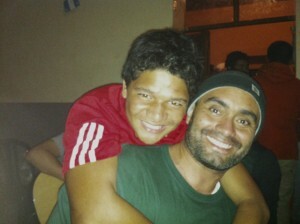 I found a community in which to do ministry and create strong relationships with the guys and staff. I was exposed to a part of my country I hadn’t known up to now. One of the areas that I became involved was street soccer. This ministry happened every Friday night, where, along with Micah staff and some teachers from IST, we would play an hour of soccer with homeless people (it was supposed to be with street kids, but it quickly became an event attended by people of all ages), preached for 5 minutes (most were high on yellow glue, making their attention span quite short), and serving them a meal. I had to admit it was a very difficult experience: it got me out of my comfort zone, but it made me realize that these homeless people had a name and a story. It made me know them as people with needs, not just people who approached my car at stoplights asking for money. The street ministry was also an opportunity to involve some of my co-workers. I started inviting some teachers to come after school on a Friday to hang out, play and get to know the people at this activity. After being a part of this activity some of the teachers became more involved with Micah, visiting the project during the week as the bonds created with the Micah kids and staff grew. Later on, I was asked by Michael to be on Micah’s Board of Directors. I have felt honored to be a part of it, giving my opinion from a Honduran point of view since all the other board members are North Americans. It has been a blessing to serve with this Board. 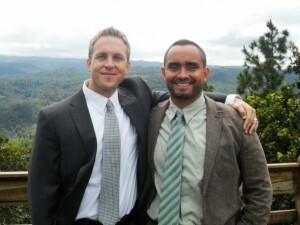 I can say without hesitation that our Board members first of all love the Lord, and second, love Micah and its ministry. 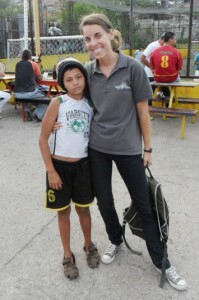 International School teacher, Brittany, makes friends with some little girls at street soccer. 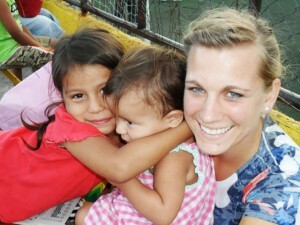 One thing I love about living in Honduras is that I can visit the Project at any time. When possible, I come out to Sunday night worship, bring high school students from IST to help out at Micah, or just go and hang out with the boys and staff. Micah has become a part of who I am: I post pictures of what’s going on at Micah on my Facebook page, I mention Micah whenever I am preaching, I see the boys as my boys. It is my prayer that more and more Hondurans will become involved with Micah and be part of the change taking place in the lives of these young men. It is impossible to be part of the project and not be changed in the process. Thanks Michael Miller and Micah Project for giving me the opportunity to come alongside of you. I pray that may we continue to walk together for many more years!